Prysmian Group, a global leader in the energy and telecom cable systems industry, has signed a non-binding MoU for technical co-operation in the field of power grids monitoring services with GCC Electrical Equipment Testing Laboratory (GCC Lab), a testing facility for power transmission and distribution cables and accessories located in Dammam, Saudi Arabia. The agreement is for joint technical co-operation aimed at developing services associated to testing, inspection and certification activities in the GCC region. The MoU has a validity of 60 months and will be converted into a definitive agreement within the first 12 months of collaboration, said a statement from Prysmian Group. As per the deal, the Italian firm will co-operate with GCC Lab to perform Partial Discharge (PD) tests - based on the Group’s proprietary Pry-Cam wireless technology - on behalf of third parties, both inside and outside GCC Lab. Pry-Cam wireless technology allows fast, accurate and effective online and reliable partial discharge measurements, diagnosis and defect localisation, without having to switch the system off, covering every aspect of condition assessment for any electrical equipment from 3 kV to 600 kV. Collected data are stored via the cloud to be accessed and shared remotely, said the company in its statement. 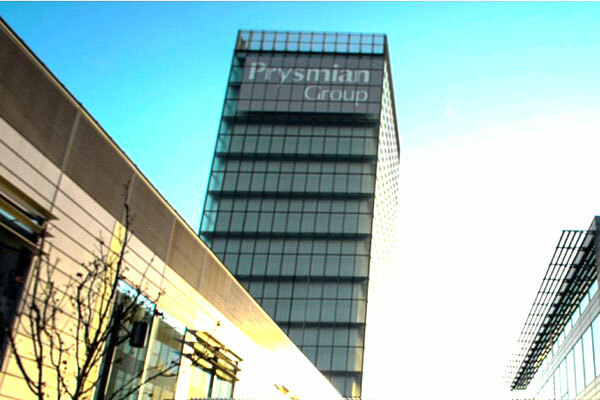 The agreement involves the supply of Pry-Cam equipment and training at Prysmian Headquarters in Milan (Italy) to GCC Lab’s engineers, for the delivery of Pry-Cam PD training sessions in GCC Lab to third parties (including SEC – Saudi Electricity Company, Saudi Aramco and Sabic) and on-line PD services on site. As per the deal, Prysmian will support GCC Lab in the execution of PD analysis to ensure the highest performance and quality service levels. Also Pry-Cam will become an integral part of GCC Lab’s overall offer package. Discharges”, stated Roberto Candela, CEO of Prysmian Electronics, the group’s fully-owned subsidiary, entirely dedicated to Condition Assessment and Asset Monitoring systems and services. "The agreement paves the way to new growth opportunities in a strategic region like the GCC," he stated. "This is only the first step in a broader span of technical co-operation opportunities," remarked Antonio Chiantore, the chief commercial officer Prysmian Group Middle East.